Eight DVD box set. The Chicago Cubs are World Series Champions! Every inning, play, and heart-stopping moment of the 2016 World Series! 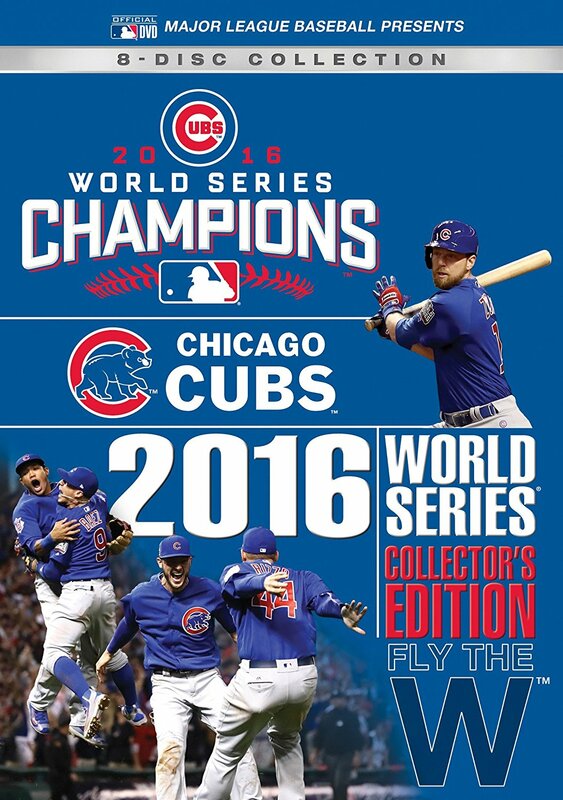 Each definitive 2016 World Series game is presented in it's entirety, preserving the complete, unedited footage of every Fall Classic game and key Postseason games. This set boasts eight full game broadcasts including all games from the 2016 World Series bonus games from the Postseason and beyond! Hi,if you have a mobile store,I'd recommend you a mobile app called AmazingCart which is a Unique Ready Native Mobile application for your Online Store. You only need to choose the theme, name and the logo. Install the plugin into your CMS (WooCommerce, Magento, Opencart and PrestaShop). No coding skills required! Our support team will help you every step of the way from setting up the application to uploading it to AppStore or Google Play. Quick installation in few clicks, modern design and interface, free updates, no monthly fee, regular content update!